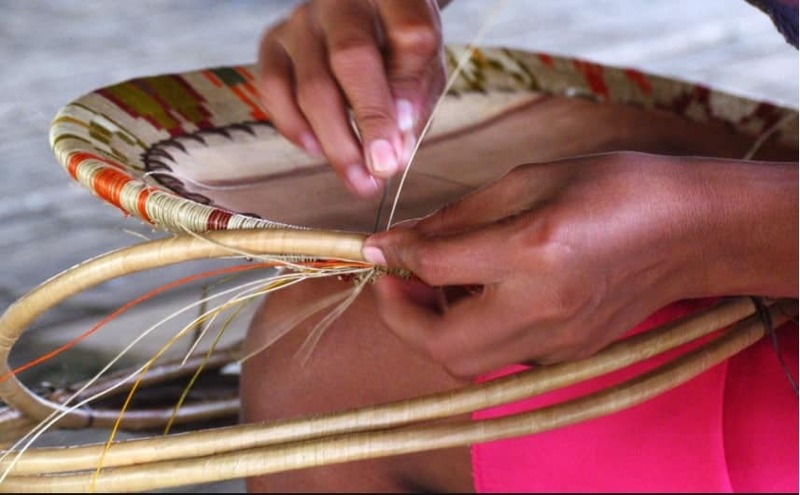 Deep in the Colombian Pacific Coast, the Wounaan (people of the rainforest) work tirelessly weaving the werregue fibers into baskets, trays, plates, bowls as well as fashion accessories. Werregue crafts are recognized worldwide as unique works of art of great cultural importance. For 5 centuries, the Wounaan have inhabited the banks of the San Juan river in the Choco and Valle del Cauca Region of Colombia, near the Pacific coast. They call the river “dochadois meaning big river, as it is the most abundant river flowing into the Pacific ocean. Wounaan mythology says that Maach Aai is the creator. This “great father” originated as a spirit in a lagoon. There he grew and later created the land, the ocean, the mountains, the moon, and the sun. He then created his son, Ewadam. Feeling lonely, Ewadam asked his father to give him company. Maach Aai used clay from the river and made thousands of figures which he later brought to life, and thus, the Wounaan were created. Even though Maach Aai is their creator, the Wounaan refer to Ewadam as their father and hero, as it is thanks to him that they exist. Wounaan customs, societal structures, rules, and beliefs are passed on through the generations. The elders also pass on gender roles and trades to the younger generations. Grandmothers teach their daughters and granddaughters all about their agricultural practices. They grow crops like yucca, pineapple, banana, plantain, and lulo, which they sell or trade with other communities for fish. The elders also teach about their spiritual places and dance rituals. Women play a most important role in Wounaan culture, they are in charge of preserving their traditions and making sure they survive with future generations. 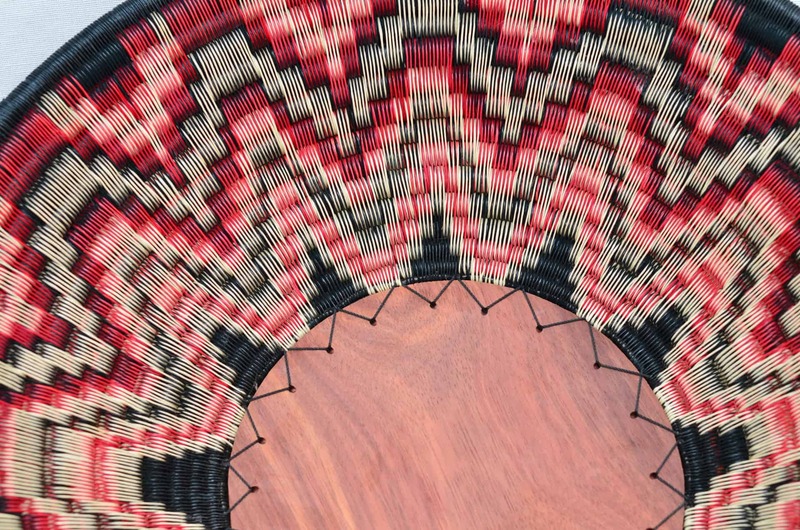 Weaving is a vital part of their culture, as well as making canoes. The Wounaan are known for their elaborate canoes, considered the most perfect of all ethnic groups. Where does Werregue Come From? Wounaan weaving is synonymous with werregue and the incredible artifacts they create with its fibers. 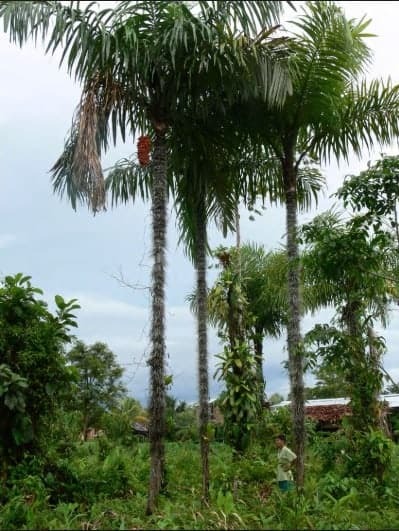 The werregue palm (Astrocaryum standleyanum), is a thorny and slow growing palm. It has a hard seed which is propagated in the area by animals such as toucans and squirrels. It grows around 3 to 5 new leaves per year and are only mature for reproduction after 10 years. Originally, harvesting the buds used to turn into fibers for weaving meant cutting down the palm. But in more recent years, thanks to help from various organizations like Artesanias de Colombia and the UN, the Wounaan have learned to pick the leaves without harming the plant. While the art of weaving with werregue fibers is exclusively a female job, it is the men who harvest it. They journey into the forest with a half-moon axe and procure the leaves. This takes place during the full moon, which is when they believe the fibers are the strongest. Once the leaves are brought back to the village they take off the thorns and split the leaves so that thick and thin fibers are extracted. The fibers then begin a process of drying and dying which can take various days or even weeks. The weaving is done in a spiral pattern. The thick fibers are used as the “soul” woven together with the smaller fibers. 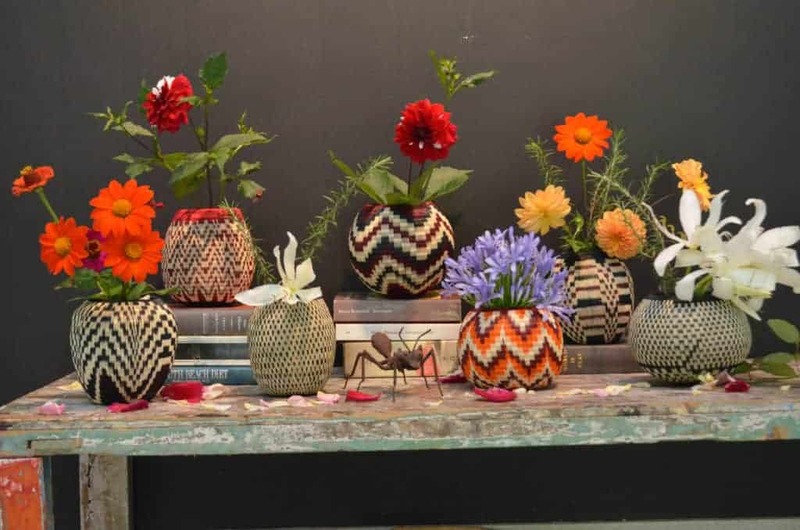 The vases and plates are woven from the center out, in a weave so tight that the vases and bowls are regularly used to transport water. The sale of werregue pieces to people in cities and in other countries is currently the main source of income for the Wounaan. It has, therefore, become one of the most important factors in maintaining their culture. For many years they have been threatened with violence and displacement due to internal conflict between the Colombian armed forces, leftist guerrilla groups, and right-wing paramilitary forces. Religious interference, as well as their contact with outside people, have also affected their culture and customs. The cultural significance of these artifacts is a testament to the fact that the Wounaan people and their ways were not so long ago on the brink of extinction. 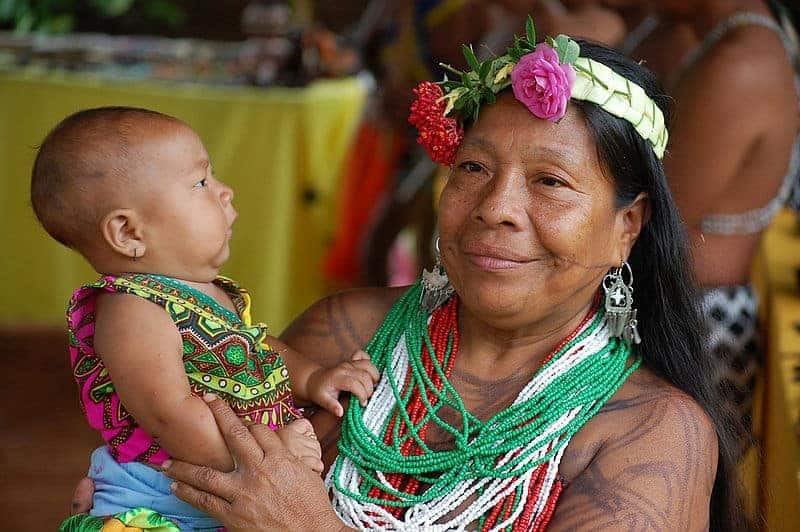 Aided by the UN and other international organizations (Amnesty International for example), as well as by their tenacity and willingness to maintain their traditions, the Wounaan have a fighting changes of preserving their ancestral traditions. It is truly a marvel that this amazing culture and its members are still available to the world and easily available to everyone through their werregue creations.